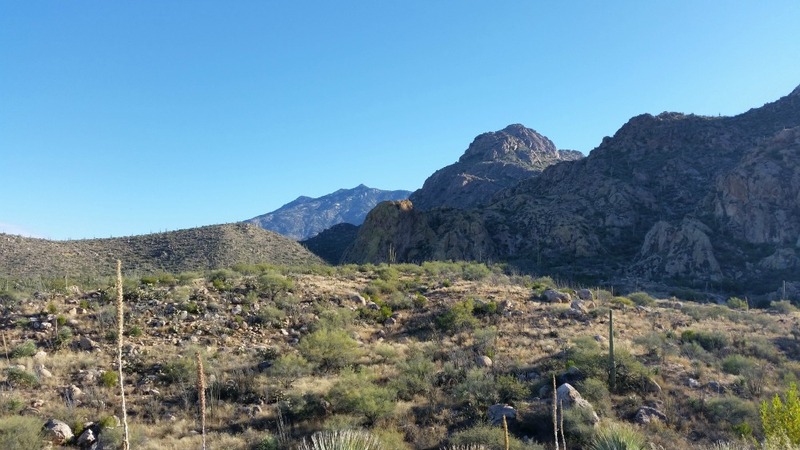 Temp: 39F at 8:45 a.m.
Last Sunday I did my first ever trail run – a short 2.3 miles in the Catalina State Park. To be honest, “trail running” wasn’t even on my radar two months ago. I met and spoke with a long-distance trail runner in July while we were volunteering together at a triathlon. She, too, is an active member of TeamRWB, and she told me about her and her husband’s adventures in running these crazy-long races: 50Ks, 100K, team relay races that go on for 36 hours non-stop (or more).